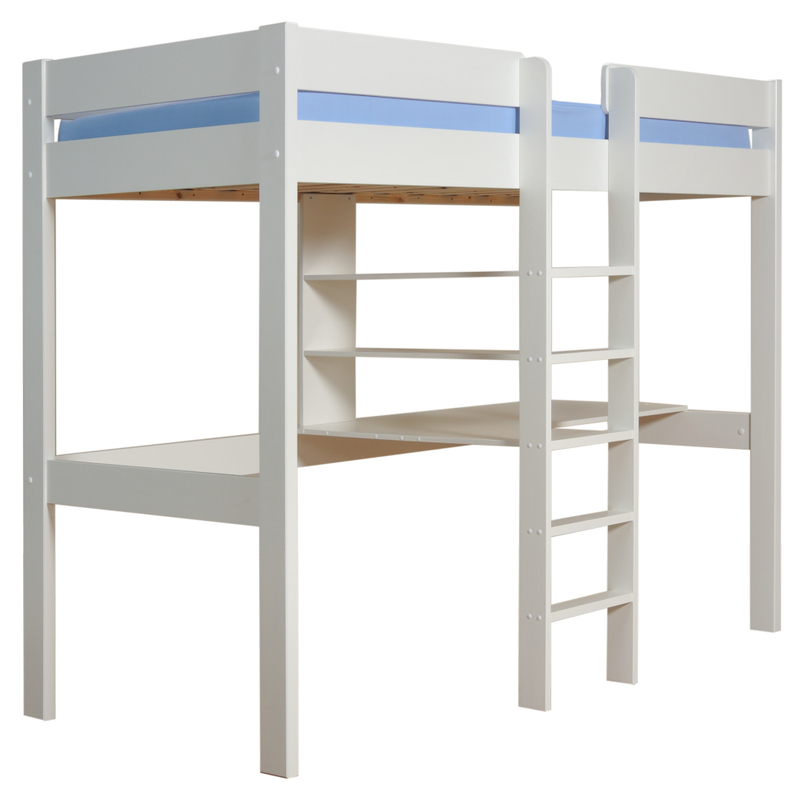 Includes Uno Highsleeper bed frame with integrated desk and shelving. Recommended min. age 6 years for sleeping in top bunk. 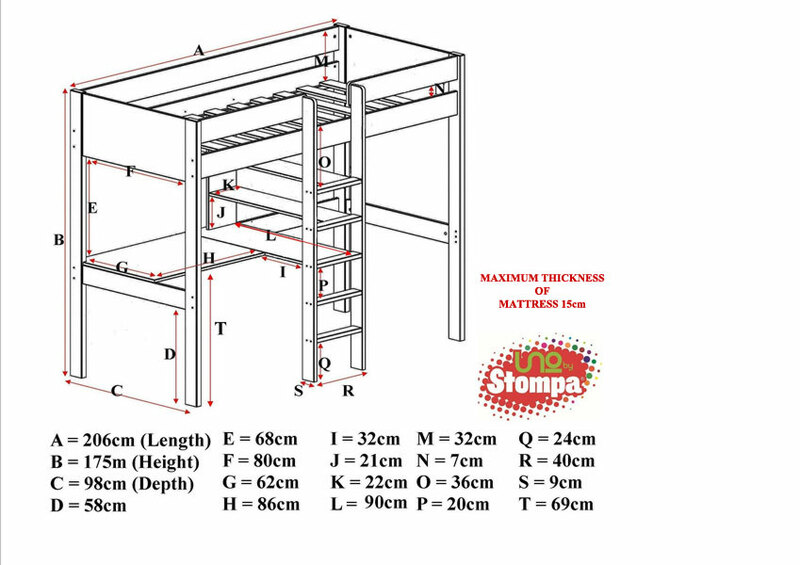 To view the technical line drawing specifications for the Uno High Sleeper White Frame with Desk/Shelving please click on the following link.